Choosing the right oil water separator can seem daunting. Just as not all applications are alike, not all separators are made alike. Customers should understand a few important points to make sure they’re getting what they pay for. 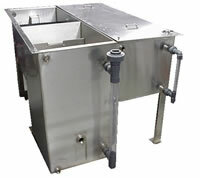 How does the oil water separator remove the oil?